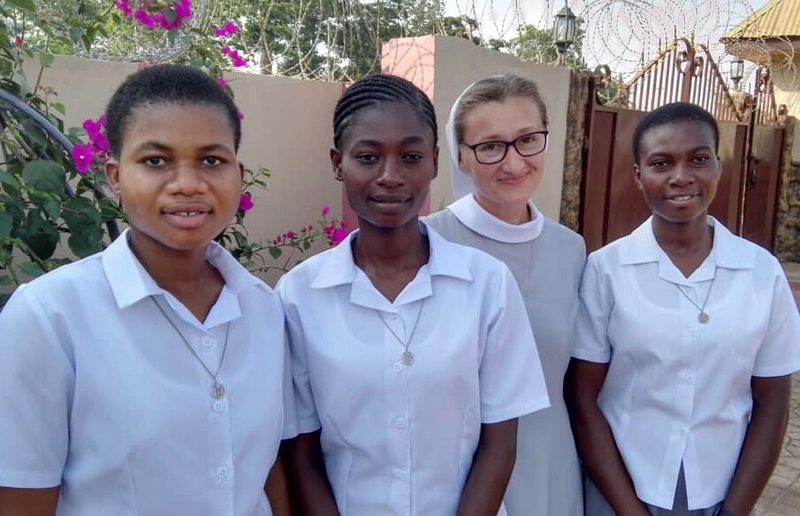 Sr. Angela Kissiwaa, Sr. Theresah Anane and Sr. Alberta Ahiabu, March 24th, 2019, Sunyani, Ghana. 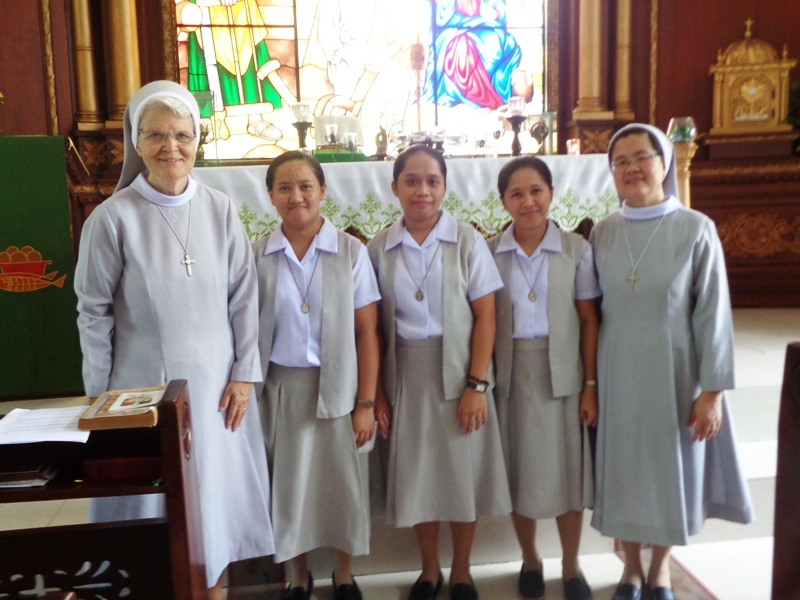 Sr. Shiela Andoy Pozon, Sr. Marie Gallaron Refuerzo, Sr. Jomelyn Singhedas Senoc, June 19th, 2016, Mary of Nazareth Province, Philippines. 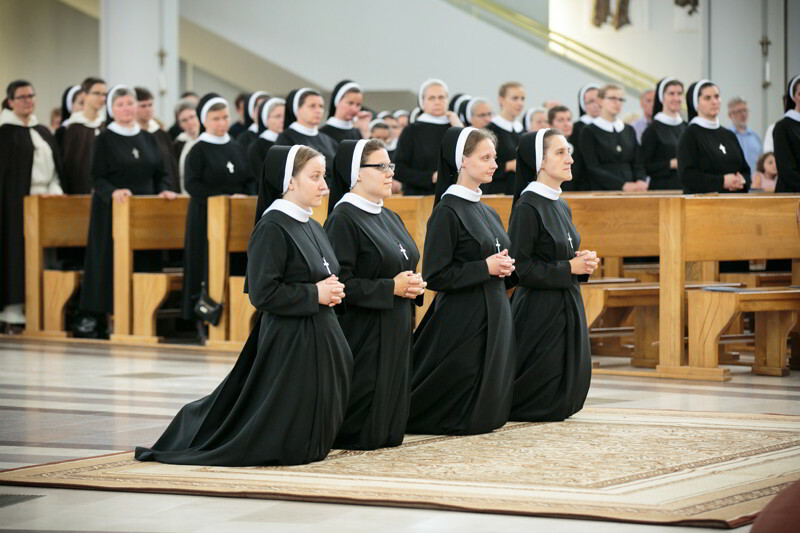 Sr. Zofia Pakulska, Sr. Aleksandra Stachniak and Sr. Anna Oginska, October 30th, 2017, Warsaw. 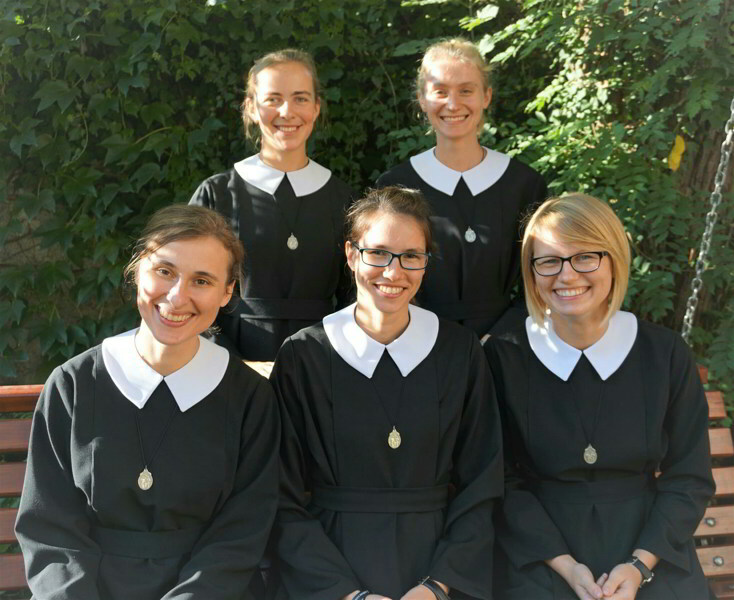 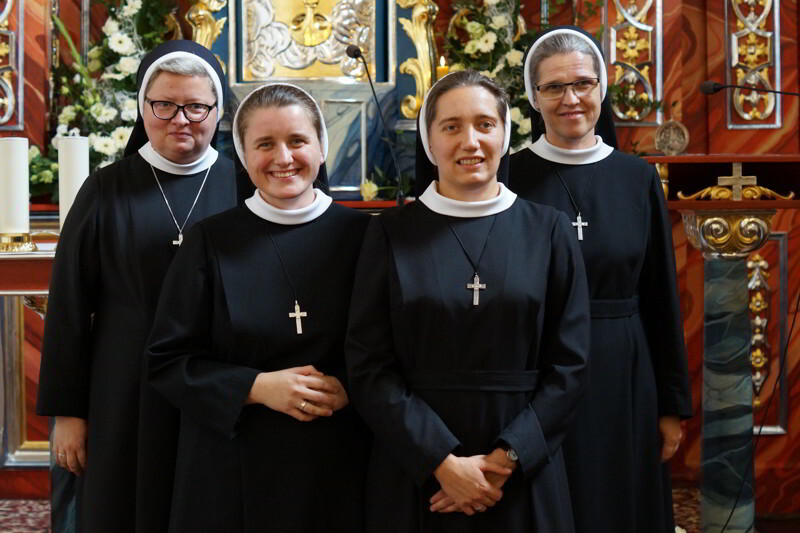 Sr. M. Agata Chraszcz, Sr. M. Aleksandra Gajaszek, Sr. M. Rita Kolashnikava, Sr. M. Marta Hajbowicz (Jesus the Good Shepherd Province), Ostrzeszow, August 26th, 2018, Warsaw Province. 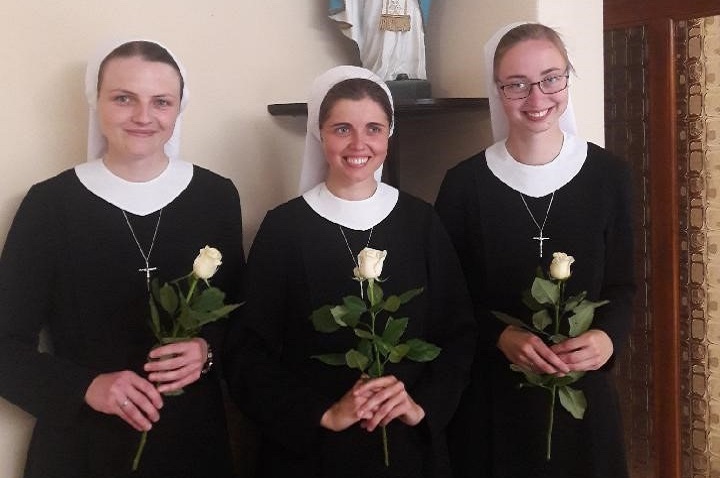 Sr. M. Milena Obrochta, Sr. M. Klara Mateja and Sr. M. Gaudia Wiecek, Warsaw Province, August 26th, 2017, Ostrzeszów, Poland. 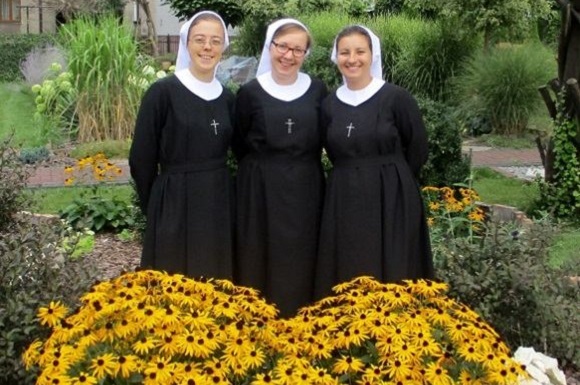 Sr. Renata Kukla, Cracow Province, Sr. Paulina Charzewska and Sr. Natalia Tereszczuk, Ukraine Region, August 25th, 2017, Czestochowa, Poland. 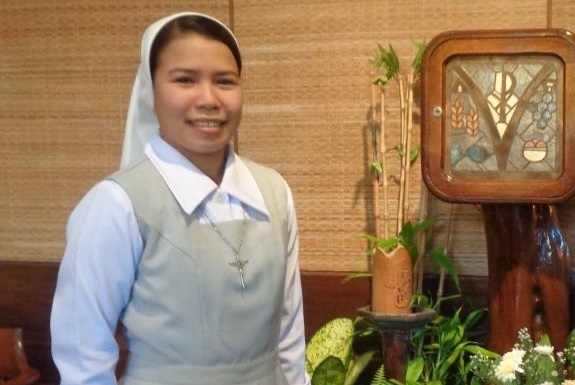 Sr. Marie Vianney Argao, June 3rd, 2017, Mary of Nazareth Province, Philippines. 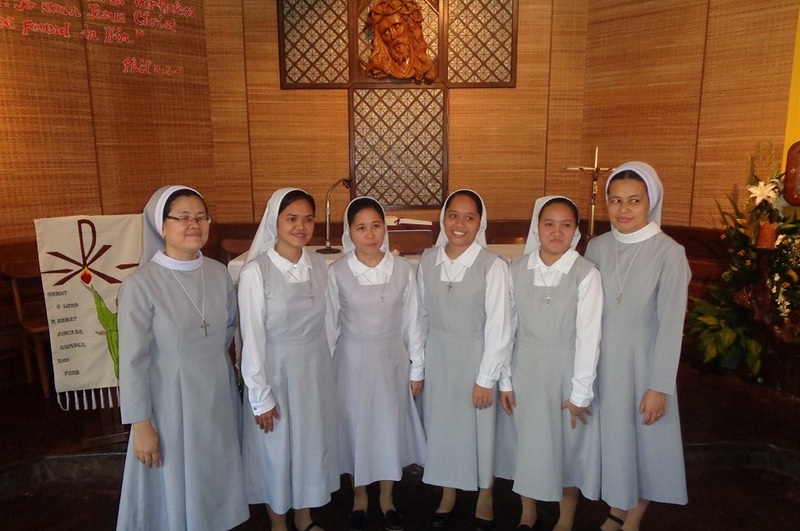 Sr. Sheila Marie Pozon, Sr. Mary Beverly Badiang, Sr. Marie Teresa Refuerzo, Sr. Mary Joseph Senoc, May 1st, 2017, Mary of Nazareth Province, Philippines. 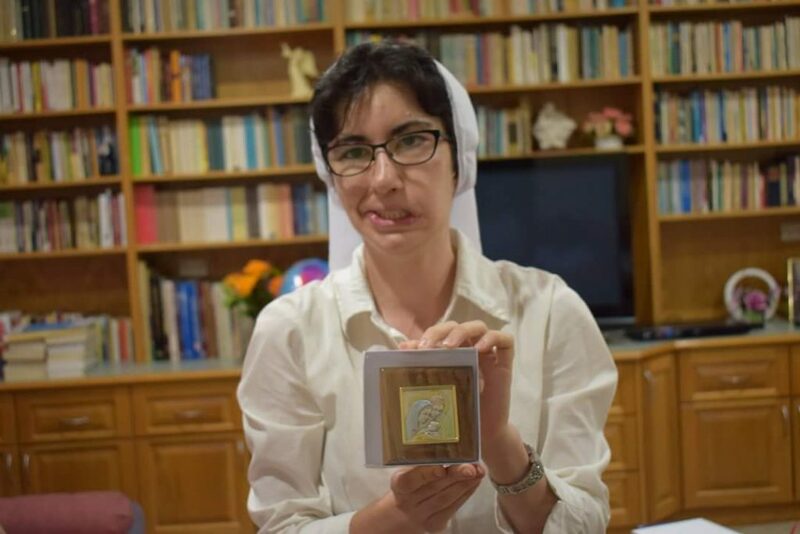 Sr. Sophie Boffa, February 11th, 2017, Marayong, Holy Spirit Province, Australia. 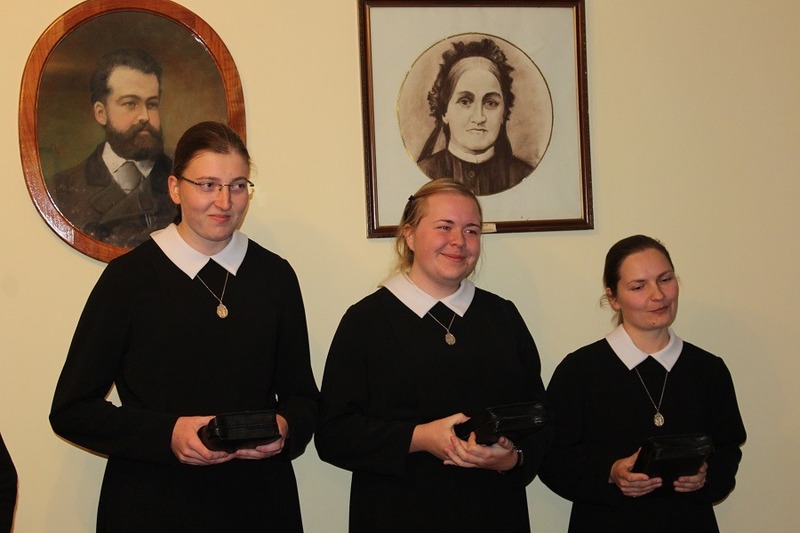 Sr. M. Estera (Dorota Wykurz), Cracow Province and Sr. M. Katarzyna Szenda, Belarus Province, August 6th, 2017, Czestochowa, Poland. 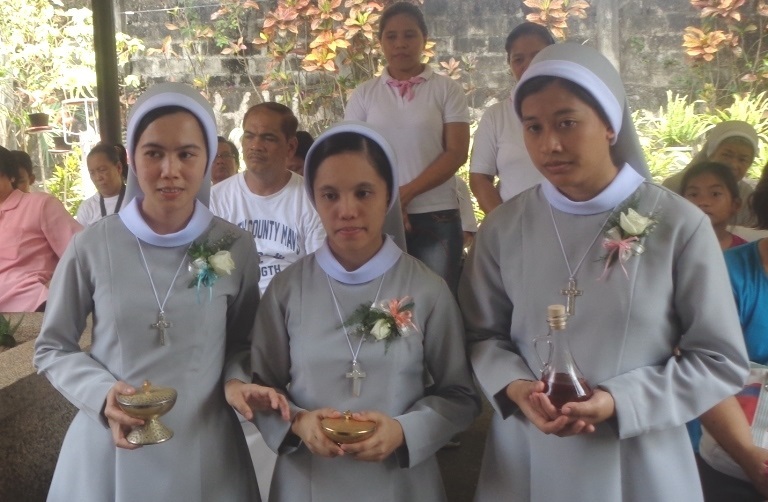 Sr. Mary John Paul Gultiano, Sr. Mary Minerva Jumawid, Sr. Maria Mercedez Aoen, May 1st, 2017, Mary of Nazareth Province, Philippines. 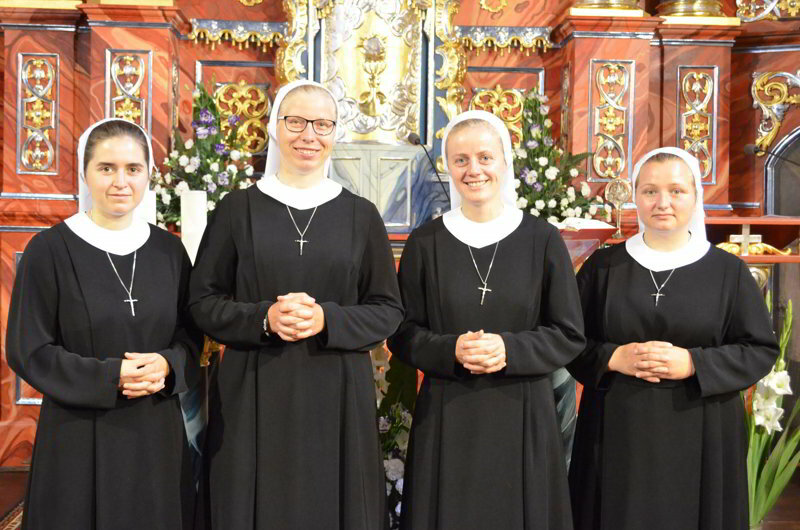 Sr. M. Alberta Skalimowska, Sr. M. Ewa Rutkowska, Sr. M. Immaculata Cybula, Sr. Maria Hiacynta Wyka, August 11th, 2018, Cracow Province, Cracow, Poland. 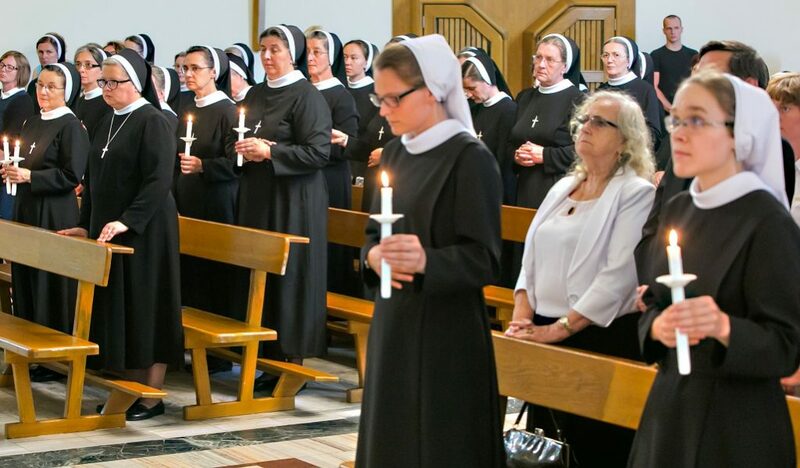 Sr. M. Natanaela Baraniecka and Sr. M. Stella Teodorczyk, August 15th, 2018, Warsaw Province, Ostrzeszow, Poland. 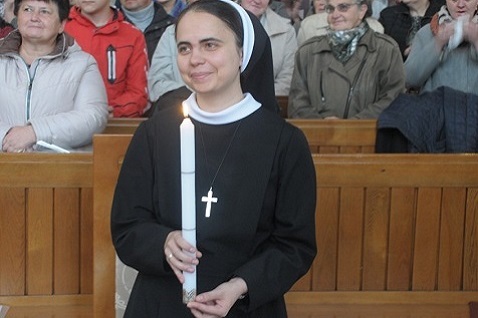 Sr. Nazaria Mikłasz, October 7th, 2018, Grodno, Belarus.